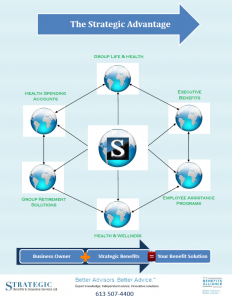 myDefined Plan | Strategic Benefits & Insurance Services Ltd.
over spending. Similar to a Health Spending Account the employer is responsible for funding claim costs, and like all of our products the plan is not pre-funded. Inside the myDefined plan, the employer can drill down to the sub-item level and completely customize the myHSA and myWSA lists with category limits and yearly caps. myDefined also allows the option to allow funds pooled or per individual family member. This plan allows employers the ability to contain costs without compromising the flexibility of the benefit offering to their employees. What types of benefits can we offer on a myDefined Plan? out individual items and categories is what makes this plan unique. The non‐taxable component utilizes the conventional Health Spending Account eligible list provided by the Canada Revene Agency. The program can also be set up for specific items that are excluded or limited under some traditional benefits plans but are eligible under CRA, for example medicinal marijuana. The same can be applied to the taxable component; this allows the employer to be creative and offer unconventional benefits. Some examples other employers are offering include fitness equipment, smoking cessation programs, weight loss programs and even pet care. Click ABC_Company_myDefinedProposal to see what a proposal would look like.